PROMOTE PEAK PERFORMANCE WITH AUTOMATED WORKOUTS AND REAL-TIME FEEDBACK WITH THE PRO 200 PLUS. 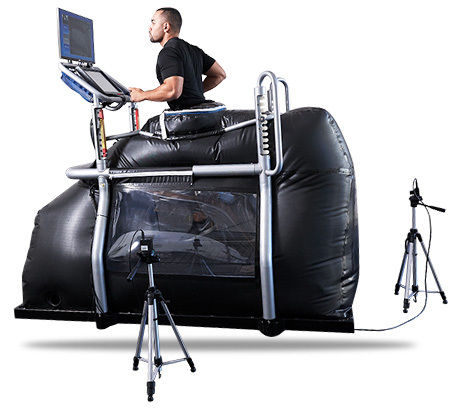 Recover faster after a game, race or hard workout - "active recovery"
Take advantage of read-to-use AlterG workouts: download and run a variety of workout templates designed and perfected by AlterG experts. Ideal for the athlete in training or rehabilitating an injury. Get instant feedback to achieve better results by leveraging AlterG’s new video monitoring, data interface and customizable workouts. Prevent bad habits or future injuries by seeing and correcting deficiencies in real time. The new Stride Smart System, provides athletes and trainers with a comprehensive workout and monitoring experience. Copyright © 2018 AlterG, Inc. All rights reserved. **Medical claims apply only to the M320 version of the AlterG® Anti-Gravity Treadmill®. There are no medical claims, expressed or implied, for the F320 or Pro 200 Anti-Gravity Treadmills; these products are intended for exercise, fitness, and wellness use.